To install wordpress you need a local server running on your computer. You may use Xampp or Wamp. I will show you how to get wamp for Windows and install it on your computer and install wordpress. Click on download or click on the “START USING WAMPSERVER” on the homepage. If your computer is 32 bits choose the 32bit version, if your computer is 64 bit choose the 64 bit version. –in the System information window check out for system type . If the System Type is ‘”x86-based PC”’ then your c is 32bit, x64 is 64. The following computer is 32 bit. 4.2.Note: For WampServer to be installed you need the Visual Studio 2012 VC 11 vcredist_x64/86.exe , whose link is provided in the modal window as well. Feel free to download it just to be safe. wnload link4.3.On the Microsoft site click the obnoxious red download button. 4.4.On the next page that comes, if your computer is 32 bits select the file with “..vcredist_x86.exe “ appended to it. And if yours is 64 bit go for the “..vcredist_x64.exe”. Then click next and the download will start automatically. 4.5.Note: Once this Microsoft file is downloaded, ensure you install it first before the WampServer installation. After download completes, run the installer and follow the steps accordingly. If you get any errors the first thing, install the Microsoft file you downloaded as directed above, afterwards continue with the installation. For windows, your system will be detected, that is if your computer is 32 bit, the 32 bit version is availed for you for download. Click on the blue download button . The download automatically starts once you are redirected to sourceforge.net. Before installing the downloaded Xampp package, ensure you have the Visual Studio 2012 VC 11 vcredist_x64/86.exe installed. To download it follow the steps provided above. 1.Download the latest release of WordPress on WordPress.org here http://wordpress.org/download/ . Navigate to WWW folder in the WampServer directory. With the defaults it will ususally be at C:wampwww. Inside the WWW directory create a folder named “examplewordpress” . This is where you will extract the WordPress files .This is where your WordPress website files will reside. Head over to the where you downloaded WordPress and extract all the contents into the “examplewordpress” folder. Open the zipped file, you shall see a folder called wordpress within it. Double click on the folder and you shall see all the WordPress files. Click CTRL + A to select all the files and drag them into the “examplewordpress” folder. 4.1 power up WampServer. Go to start menu and start WampServer. Then put the server online by going to the notification area and click and you see the menu as below. 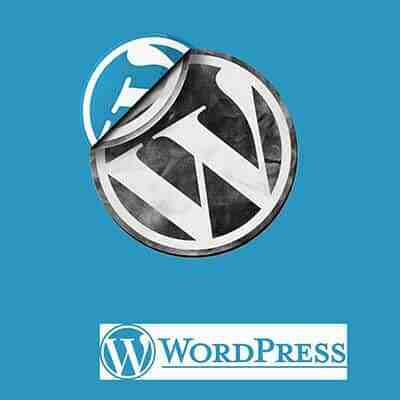 4.4 Create a new database and call it ‘examplewordpress’ . The screenshot below may vary from yours due to WampServer version differences. 4.5 The database has now been created so we can go to the browser and proceed with WordPress installation. On your browser navigate to http://localhost/examplewordpress/ . Since you have not shown WordPress how to connect to your database you will see the message below. Click on “Create a Configuration File” button to continue to generating the wp-config file. Change Database Name to examplewordpress as you named it earlier while creating the database on PHPMYadmin. Change username to your MYSQL Username, if you haven’t edited anything after the WampServer installation use root. Enter your new WordPress site details. Alright Sparky that’s it . You can now log into your wordpress site that you created with your username and password you typed in the previous window with the WordPress details. Click log in. Welcome to the WordPress dashboard. Your WordPress site running the twenty fourteen theme from WordPress. For xampp just follow all these steps, except you will have to put the wordpress site folder in htdocs within the xampp folder since Xampp has no www folder but the htdocs folder. Still have questions? Ask or comment on them below.